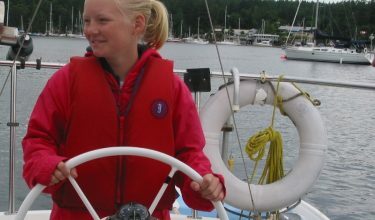 If you are sailing in Vancouver this summer then the beautiful Gulf Islands are surely a must visit place. They are one of Canada’s biggest tourist destinations, due to their unspoilt beauty and breathtaking scenery, yet each island maintains a distinct character of their own. There is a very different pace of life in the Gulf Islands, known as “Island Time”! The Islands range from the very tranquil and quiet islands such as Saturna Island and Thetis Island being less populated, to the bustling flavour of Salt Spring Island being the most densely populated of the Gulf Islands with a busy local community. Each island has it’s own unique atmosphere. where you can meet people from all walks of life; from writers and musicians, retired millionaires and business people escaping from the rat race to people seeking spiritual peace. Where are they?Why visit?What to do? The Gulf Islands are found in the Strait of Georgia, (known also as the Salish Sea) and they stretch along Vancouver Island’s eastern coastline from Nanaimo down to Saturna Island near the border. They are made up of over a dozen large islands and many many more islets to explore. Now the islands from Gabriola Island in the north to Saturna Island in the southeast and D’Arcy island in the southwest tend to collectively be called the Southern Gulf Islands now. The division between the Southern and Northern Gulf Islands is around the city of Nanaimo. The Northern Gulf Islands includes both Quadra and Cortes Island and more to the far north. The climate is defined with long dry summers and mild winters, enjoying less than 30 inches of rainfall a year. 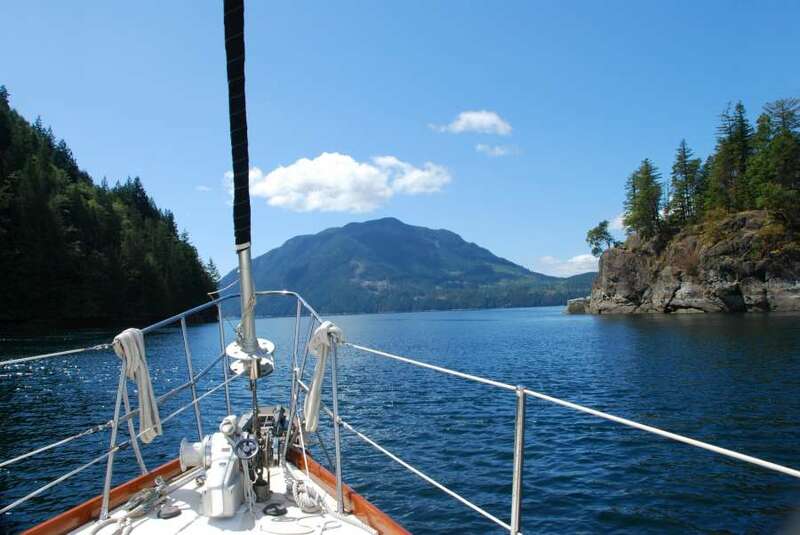 The very best thing about being on a yacht charter around Vancouver will mean you can explore the many tranquil bays, sheltered coves and uninhabited islands of the Gulf Islands National Park Reserve. This 33 square km covers numerous islets, reefs and islands. On Salt Spring island you can view Mount Maxwell, Mount Erskine and Ruckle Park. On Saturna, Mount Warburton Pike. A visit to Galiano you will see Mount Galiano and Bluffs Park, not to mention Mount Parke on Mayne, Orlebar Point on Gabriola and Mount Norman on Pender. There are vibrant communities on some of the larger islands which are very popular weekend destinations and long stay holiday makers. There are many many more smaller uninhabited islands which are popular destinations with ocean kayakers and sailors, where you can enjoy the stunning scenery and the local wildlife, including the plentiful sea birds and colonies of sea lions. There are excellent sport and recreational activities to do here, ranging from the holistic to the more active. Enjoy the panoramic views if you go ashore to walk along the cliffside hiking trails. Take a wander through the rare Garry Oak and Arbutus ecosystems. Enjoy the fresh air and laid back atmosphere by having coffee in the local shops and pubs. You will also find many spas and wellness clinics specialising in all sorts of therapies, ranging from hydrotherapy, Reiki, aromatherapy, reflexology, mineral baths and sea-salt scrubs. For art lovers there are plenty of art galleries and studios can be found to enjoy the creativeness of the inhabitants of the islands, along with concerts, readings and theatre productions. In the Summer and Fall there are all sorts of festivals to enjoy – literary, musical and nautical among others. Visit the local weekend markets where you can buy a whole range of local food from local gardeners. If you are sailing Vancouver and have visited one of the islands then the chances are you will want to visit them all!